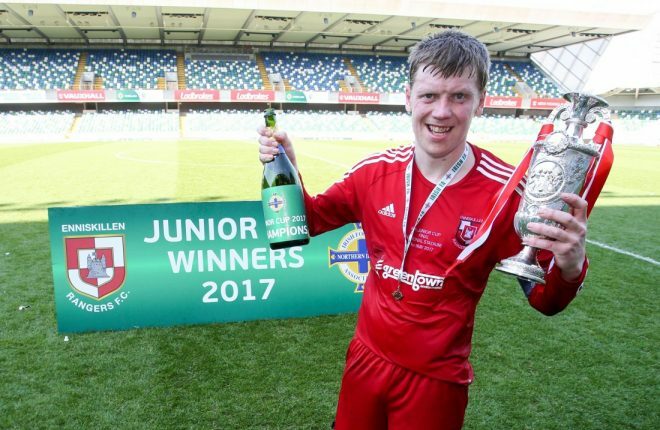 Jason Keenan is travelling to Windsor Park for the Irish Junior Cup final for the third year in a row, though Monday’s trip promises to be very different. 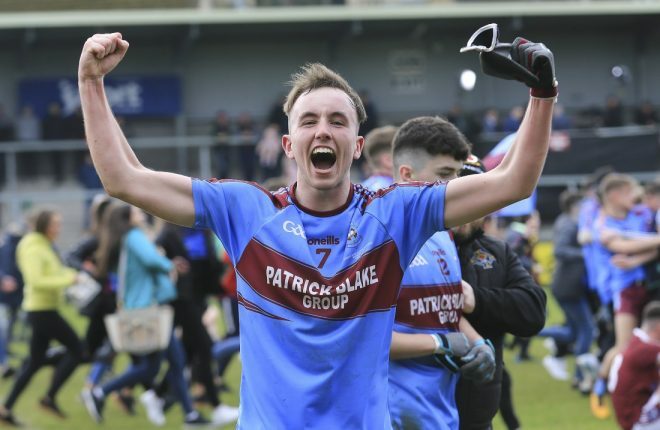 Having watched Harryville Homers and Enniskillen Rangers claim the biggest prize in Northern Ireland junior football from those famous stands in 2016 and 2017 respectively, Keenan now takes centre stage. 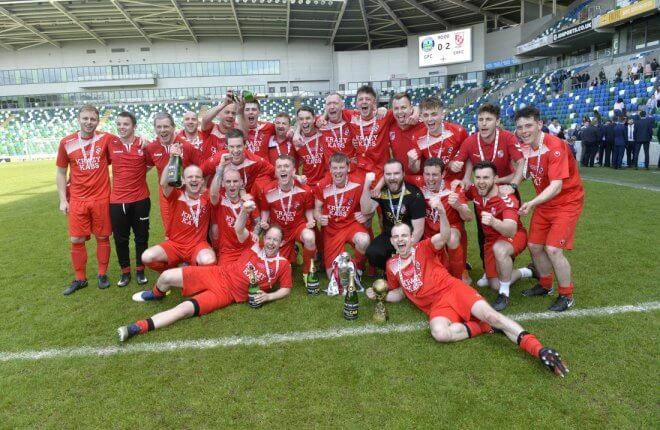 The Enniskillen man linked up with childhood club Rangers in the wake of last year’s cup triumph and this May Day will spearhead the defending champions’ attack having blazed a trail through the Fermanagh and Western with 24 goals in all competitions to date. 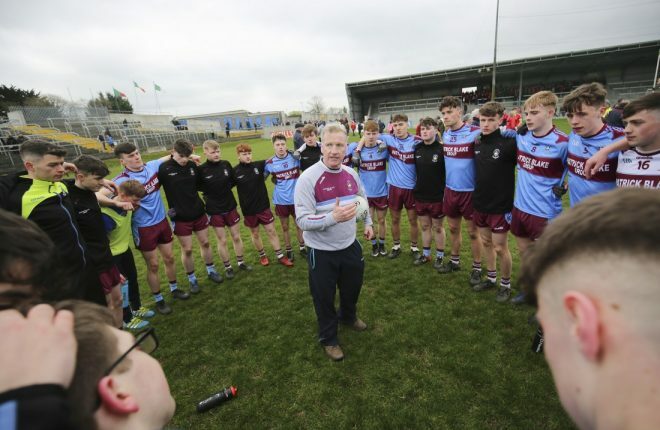 Ahead of what he acknowledges is the biggest game of his career by some distance, Keenan is as measured off the pitch as on and won’t stray too far from the message of his player manager and cousin Michael Kerr. Recent defeats to Enniskillen Town and Strathroy Harps have took some of the wind out of the sails of the Aughaward Road club, but Keenan and Rangers will now try to use that to their advantage. Those words could just as easily have came from the mouth of boss Kerr, who managed his team to a Junior Cup final rout 12 months ago against Hill Street of Lurgan. Rather than resting on those laurels, the player manager set about improving his squad further and that’s where Keenan came in after Santos fell by the wayside. “He [Kerr] was the main reason I signed really. He was talking to me about it over the summer and said he knew I would score goals with this team. 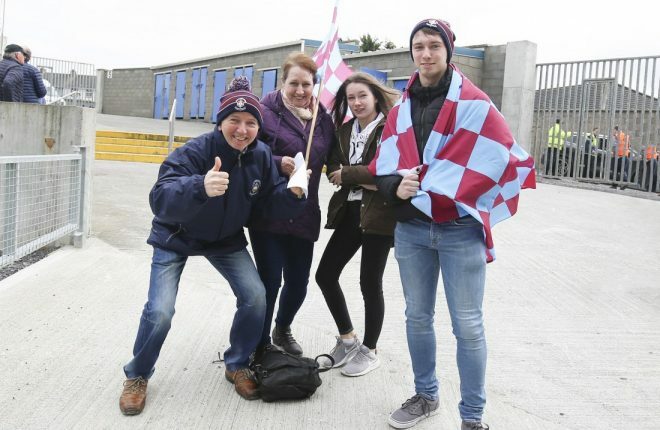 It has been a team effort though, there are men here who put it on a plate for you,” said Keenan, who did play a couple of underage games with older cousin Kerr at Ballinamallard. “I’ve 24 goals now, counting Kennedy cup. I was six or seven games without a goal there so there was bit of pressure alright. “Michael is very good, he is very constructive when he’s talking. It keeps you going, he’d pull you to one side and say to just keep up the hard work on and off the ball even if you don’t get a goal and it’s all about the team. He said the goals will come and they have,” added Keenan who ended his brief scoring drought against Beragh Swifts last week. 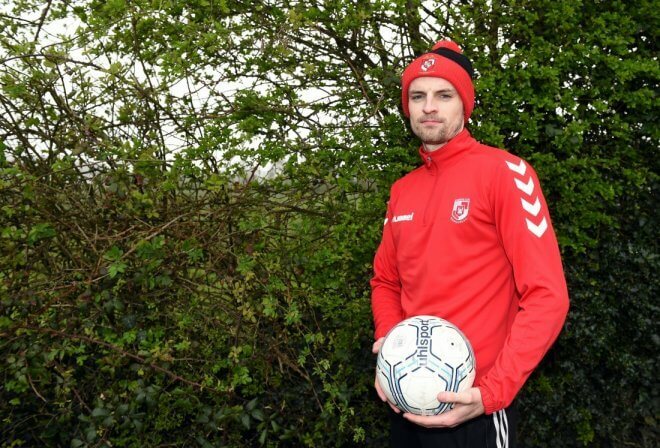 Keenan could complete a special father and son double against Greenisland on Monday with his father Joe having reached the promised land in junior football with Rangers back in 1999, their only ever Junior Cup win prior to last year. 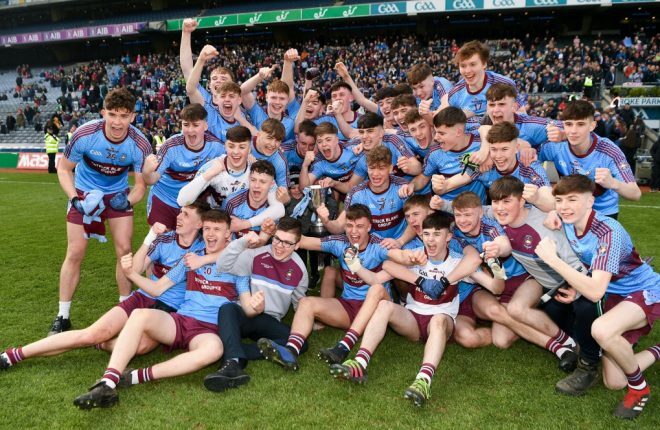 A Fermanagh and Western second division winner’s medal is all Keenan can set against his father’s incredible haul, for now. The F&W Player of the Century is the most decorated player in the history of the local game with six league titles, seven Mulhern Cups and that famous Irish Junior Cup. With his two sons Jason and Christopher now in the Rangers squad, he hasn’t missed a game all year and will be a proud man in the stands at Windsor Park this Monday no matter how the game goes. 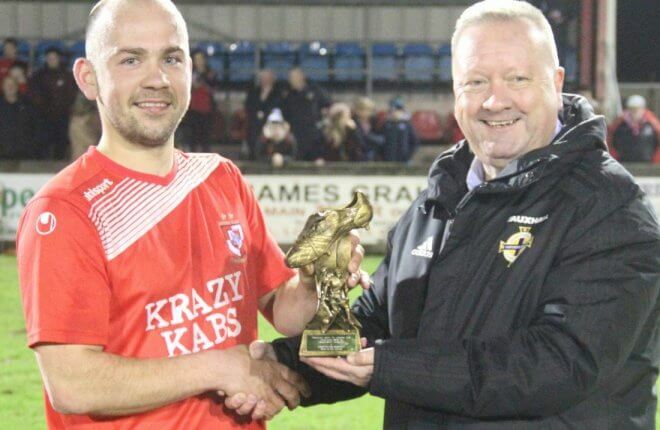 Rangers flourished on three fronts until their recent Mulhern exit at the hands of neighbours Town and the secret to their success is simple hard work says Keenan as they continue to compete for a league and cup double. “There’s been a big difference this season to anything I’ve been involved with before, the level of player and the commitment from players just. Training has been hard since pre-season, boys are really putting it in. You have Tony Roofe, Michael and Stephen McFrederick taking training. We are working hard a few nights a week if we don’t have games and deserve to be where we are now,” said the sharp-shooter.